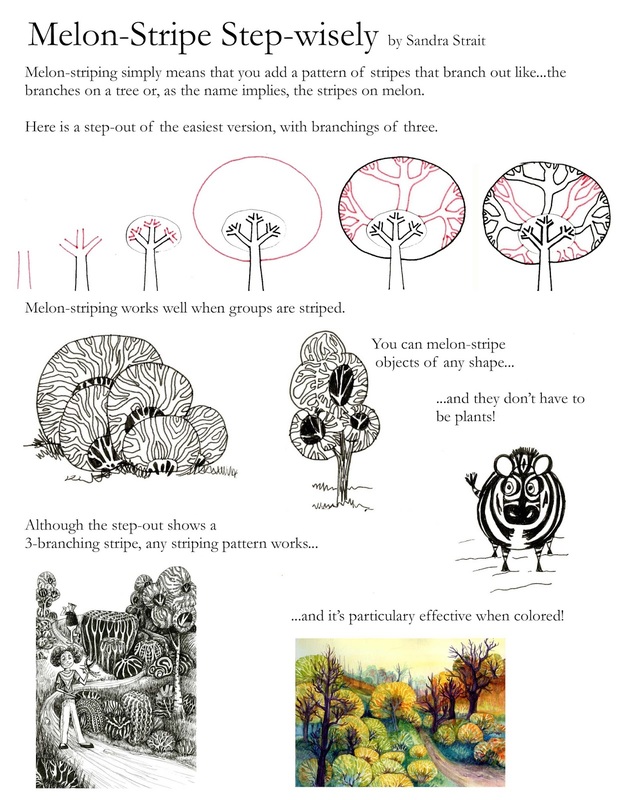 After I did a watercolor, I was asked to create a step-out showing how I did the striped trees in the painting. After some thinking, I realized a step-out wasn’t enough. This is because the striping is really a technique more than a specific striped object. If you do intend to color, you can draw the stripe outlines in black, or you can use the color you intend to use for filling in. You’ll get a different effect with each of the two methods.